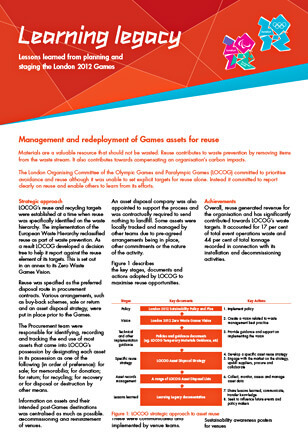 This case study focuses mainly on how waste was managed in accordance with zero waste principles during the operational period of the Games, including sustainability challenges and lessons learned. 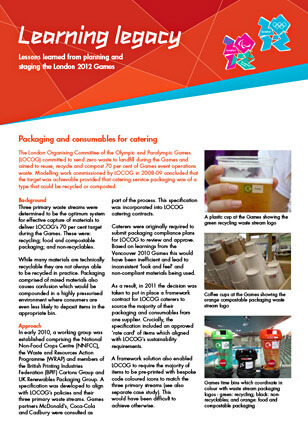 This micro-report provides an overview of sustainability and zero waste considerations in the sourcing and supply of Games catering packaging and consumables and the sustainability learning that was gained. 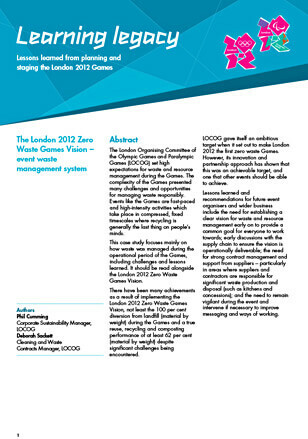 This micro-report provides an overview of how Games assets were managed in accordance with zero waste and low carbon principles and redeployed for reuse and the sustainability learning that was gained. 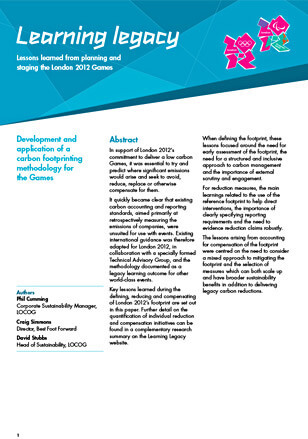 Key sustainability lessons learned from defining, reducing and compensating of London 2012’s carbon footprint are set out in this case study. It can be read alongside a complementary research paper on how the Games footprint was reduced and compensated. Short introductory guide to management systems thinking and concepts and sets out clear and practical steps to help you be more formalised and systematic about how and when you do things. 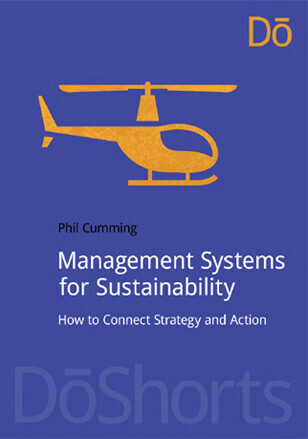 This book will help you deliver on your sustainability ambitions — without needing to follow a single management system standard! Read an extract. 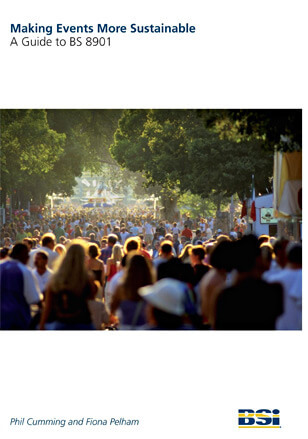 Guide to implementing a management system to improve the sustainability of events. 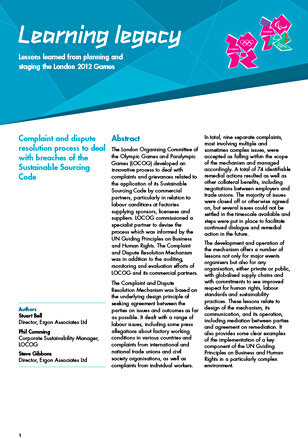 Although ISO 20121 (the Event Sustainability Management System standard and BS 8901’s international successor) has now been published this guide will still be useful. While structurally ISO 20121 is a little different to BS 8901 its core requirements are largely the same.